Partnerships are critical to reducing the devastating impacts of this epidemic. ASTHO strongly encourages multi-sector approaches that pay particular attention to communities in need and rural populations, as these areas experience significant challenges with access to treatment and recovery support. Collaboration with state alcohol and drug agencies that manage each state's publicly funded substance use disorder treatment, prevention and recovery system promotes an effective and efficient statewide system of care. State and territorial public health agencies, state alcohol and drug agencies, health care delivery, law enforcement, and many others have critical roles to play in this strategy and are “co-owners” of a state’s or territory’s response. Collective efforts of public and private partners will bring our nation closer to reducing or eliminating opioid misuse. The framework is built around four key strategies and related objectives for state and territorial health officials to carry out or to ensure are being carried out with other governmental and non-governmental partners as part of a comprehensive response to preventing opioid misuse in their jurisdictions. Each strategy is supported with a list of tactics, and evidence-based tools and promising approaches for addressing the opioid crisis. Additional research is needed to expand the evidence base and assess the most effective approaches necessary to reduce the devastating impacts of this epidemic. Click on each of the four key strategies below to learn more. Improve classification of opioid overdose deaths on death certificates to ensure accurate surveillance of overdoses in the jurisdiction. Monitor progress in substance misuse prevention efforts using Healthy People 2020, Healthy People 2030 and other national, science-based benchmarks. Establish data-sharing agreements for tracking of opioid use and overdoses across state agency jurisdictional lines. Increase resources for state and territorial health surveillance needs including workforce development, data standardization, and data quality. 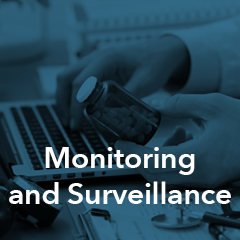 Optimize the effective use of state and territorial Prescription Drug Monitoring Programs (PDMP) as epidemiology and surveillance tools, including interstate data sharing. Expand the use of innovative, real-time surveillance systems to rapidly predict and/or detect outbreak “hot-spots” and disease clusters linking with law enforcement, hospital admission, and other data sources. Create a data dashboard that provides timely and accurate substance misuse and overdose information statewide, and links to treatment, prevention, and harm reduction resources in the community. Optimize the effective use of state medical examiner/coroner data to enhance surveillance and monitor the epidemic at the local and state levels. Collaborate with other health care and public health agencies to ensure and use up-to-date overdose data, and morbidity and mortality data. Improve data sharing and collaboration between public health and law enforcement to focus response and prevention efforts. Promote law enforcement partnerships and data sharing to better target over-prescribers. Promote data sharing and electronic health record information sharing within practices, within health care systems, and between agencies to promote better patient care. Increase pharmacy access and use of PDMPs to enhance clinical decision-making and improve patient safety. Uncouple patient pain management scoring from overall patient care experiences, satisfaction surveys and reimbursement. 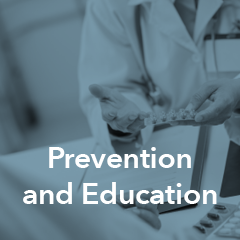 Promote and implement evidence-based primary prevention strategies that prevent substance misuse and addiction, including efforts that strengthen family environments for children and youth at risk. Increase awareness of Adverse Childhood Events (ACEs) and family/parenting supports that can prevent future substance misuse in both parents and children, and utilize the ACEs module of the Behavioral Risk Factor Surveillance System (BRFSS). Strengthen social supports and programs that address the social conditions and determinants of health (e.g., housing, education, employment) to prevent substance misuse and improve health overall. Promote maternal and early childhood health programs, prioritize screening and access to treatment for pregnant women with opioid use disorder, and improve care for infants with neonatal abstinence syndrome (NAS). Promote syringe exchange programs/safe injection site programs to reduce risk of overdose and transmission of disease, and promote co-located HIV and hepatitis screening, treatment, and recovery services. Establish social media campaigns to amplify prevention messages and provide information on treatment and recovery resources to the public. Develop comprehensive multi-media and multi-cultural public awareness campaigns to reach all audiences. Develop or strengthen peer education and leadership programs in schools and colleges to promote effective prevention messages. Train school staff members on use of naloxone, and how to recognize signs of substance use disorder. Educate the public on the medical harms associated with opioid injection, including the transmission of HIV and hepatitis C.
Collect meaningful data on effective prevention strategies tailored to the community and specific state or territorial needs. Support research for the development of evidence-based guidelines for medication administration for treatment of substance use disorder. Promote implementation of evidence-based prevention programming, incorporating standardized performance measures and evaluation criteria. Define a set of nationally consistent outcome metrics to evaluate, in an ongoing manner, the impact of opioid addiction prevention and treatment efforts. Collect epidemiologic data to assess risk factors, and track prevalence and health outcomes on opioid misuse. Develop or expand community coalitions to ensure a comprehensive and coordinated approach to the opioid crisis in a manner that will allow the coalitions to become part of the community fabric for any public health threat or improvement need. Educate state and local policymakers on evidence-based prevention. Engage with community efforts such as DEA 360 Strategy to raise awareness of the dangers of opioid misuse. Support substance use prevention education in schools and update curricula on a regular basis. Support substance use prevention education in faith communities, community meetings, places of business and worksites, and places where people convene such as sporting events and fairs. Work with local press and media outlets to amplify prevention messages and provide information on treatment and recovery resources to the public on a broad scale. Make the business case for treatment and recovery support and partner with local and state employers, business, and Chambers of Commerce to educate employers on substance misuse and addiction, the signs and symptoms of addiction, and how to refer employees to treatment. Provide training and education to law enforcement, fire department personnel, and other first responders on the use of naloxone and relevant state “Good Samaritan” laws. Ensure appropriate personal protective equipment and training for first responders. Work with High Intensity Drug Trafficking Areas (HIDTA) programs to coordinate drug enforcement operations, support prevention efforts, and improve public health and safety. Educate providers and the public on the benefits and risks associated with the use of medication-assisted treatment (MAT). Educate providers on the signs and symptoms of opioid use disorder and how to approach and treat addiction as a chronic condition of the brain. Train and educate providers on substance use disorder and reducing the stigma surrounding addiction to achieve better patient outcomes. Train social service providers on the signs and symptoms of opioid misuse, and reducing the stigma surrounding substance use disorder. Train homeless service providers (e.g., shelter staff, street outreach workers) in the areas of overdose prevention and MAT. Educate providers on community resources and social supports for treatment and recovery services. Include pain management, and signs and symptoms of substance use disorder in medical and other health provider training programs. Provide Screening, Brief Intervention, and Referral to Treatment (SBIRT) education tools and training to health care providers, social services, and school health teams. Assure that all provider types are included in outreach and education efforts, including dentists, advanced practice nurses, pharmacists, and other non-physician health care providers. Establish and disseminate evidence-based guidelines to treat pain, and promote national and state opioid prescribing guidelines (e.g., CDC, medical specialties, etc.) that balance patient needs with the need to reduce opioid supply. Strengthen the regulation and oversight of pain clinics to assure evidence-based practices are being used to appropriately manage access to opioids. 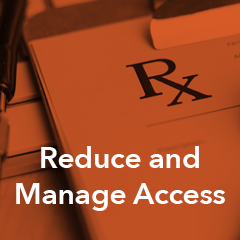 Integrate clinical guidelines and recommended dosing and quantity options for opioid medications in electronic medical record systems to reduce supply of unneeded medications. When appropriate, use a single prescriber and pharmacy for patients requiring high-volume opioid prescriptions. Limit “doctor shopping” through means such as mandatory PDMP checks that prohibit patients from obtaining controlled substances from multiple healthcare practitioners but ensure they get the specialty care they need. Prosecute "pill mill" facilities and "over-prescribers" to curb opioid supply. Strengthen state statutes for prosecuting major distributors, including state drug trafficking and conspiracy statutes. Expand the use of patient-provider pain or treatment agreements, and use of informed consent when prescribing opioid medication. Promote e-prescribing to prevent fraudulent prescriptions. Strengthen and standardize licensure board oversight of providers to assure compliance with prescribing guidelines and PDMP use. Implement policies with provider groups, payers, and insurers that promote and incentivize the effective use of prescribing guidelines, including alternative treatments. Expand delegate access to the PDMP database (e.g., certified medical assistants, medical examiners, coroners) as appropriate. Promote effective, evidence-based, non-opioid pain management options and pain management guidelines/incentives. Integrate state-based PDMP with electronic medical records and health information exchanges to monitor and manage access to opioids. Institute medication take-back and disposal programs to limit the supply of unused medication. Promote safe and secure storage of opioid medications at pharmacies, in institutional settings, and in patient’s homes. Encourage Medicaid and other state-run health programs (e.g., state employees, health care, workers compensation) to adopt comprehensive opioid management policies and programs. Encourage Federally Qualified Health Centers (FQHCs) to adopt comprehensive opioid management policies and programs. Engage health professional boards and pharmacies, etc., in supporting appropriate prescribing practices. Engage medical schools, dental schools and other prescriber schools in adopting core competencies in pain management, prescribing guidelines, and PDMPs to ensure the next generation of prescribers is educated before starting practice. Partner with the Drug Enforcement Administration (DEA) to identify and curb illicit opioid supply. Increase funding for treatment and recovery services to scale up needed services at the local or state levels. Enforce behavioral health parity laws and ensure access to behavioral health services that address prevention, treatment, and recovery. Expand and strengthen the treatment and recovery workforce to meet the demand for services and support long-term recovery. Increase access to MAT and withdrawal management to support and sustain long-term recovery. Increase access to naloxone to prevent overdose death, such as through standing orders that allow pharmacies to provide naloxone in the absence of a prescription. Ensure that land use statutes and ordinances do not impede construction of treatment facilities. Review systems regarding disaster readiness to ensure continuity of services and availability of treatment in a post-disaster context. Enact or revise Good Samaritan laws to reduce the fear of calling 911 for help and to increase the likelihood individuals will report overdoses and/or seek treatment. Expand access to drug courts and promote alternatives that divert patients from the criminal justice system to treatment and recovery. Secure adequate provider reimbursement and provide sufficient support for treatment for opioid use disorder and the full spectrum of evidence-based care. Increase reimbursement for comprehensive pain management that includes evidence-based, non-opioid therapies for acute and chronic pain. Implement policies that facilitate consultation with or referral to a specialist, such as pain, psychiatry, addiction, or mental health, when needed for additional evaluation and treatment. Expand SBIRT and other screening and referral programs, and accompanying “warm handoff” to treatment services. Promote new/alternative entry points to treatment that meet individuals where they live, learn, work and play. Reduce the stigma attributed to substance use disorders and expand the understanding of addiction as a chronic medical condition of the brain. Expand use of telemedicine and telehealth programs to improve access to treatment and recovery support services based on Project ECHO and/or other evidence-based telemedicine models. Establish informational “warm-lines” or other telephone-based resource lines that connect people in need with treatment services, both inpatient and outpatient. 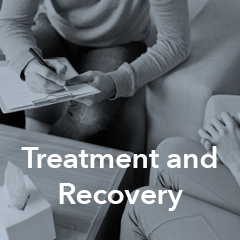 Expand or establish outreach recovery efforts in which peer recovery specialists connect individuals in the community with needed services. Track MAT prescribing and use. Expand MAT waiver training for providers to prescribe medication for the treatment of opioid use disorder. Establish recovery support services in high schools and colleges, such as regional recovery schools or recovery housing. Expand coverage of substance misuse treatment, including reach of peer and family support organizations, through Medicaid and other state funding. Collaborate with correctional facilities to increase access to treatment and recovery services to prevent relapse and recidivism when individuals are released. Work with payers to review insurance practices and ensure they do not impede access to treatment. Promote team-based care in the treatment of opioid use disorder, including allowing nurse practitioners and physician assistants to prescribe MAT. On Jan. 19, 2018 Acting Secretary Eric Hargan renewed the determination that a public health emergency exists nationwide as a result of the consequences of the opioid crisis effective Jan. 24, 2018. This determination will last 90 days. On Oct. 26, 2017 Acting HHS Secretary Eric Hargan declared a national public health emergency to address the national opioid crisis. The declaration allows the HHS Secretary to exercise certain emergency measures, as allowed by law, to respond to the epidemic. As federal agencies and Congress look to implement their response to this public health emergency, ASTHO urges national leaders to provide additional resources focusing on both treatment and prevention of addiction. ASTHO will update the framework accordingly to provide information most relevant to public health leaders in light of the declaration and the recent recommendations from the President’s Commission on Combating Drug Addiction and the Opioid Crisis.